Marianne Smit is Communications Officer at Delft University of Technology (TU Delft). Prior to this she was responsible for employer branding and recruitment processes at TU Delft HR Talent. 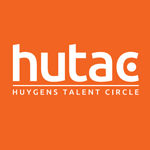 TU Delft HR Talent encourages and facilitates the search for the recruitment and development of high-talent personnel at TU Delft.